UK MAINS EARTH CONNECTION ONLY. The Cocoon is ideal for total & full body grounding when used like a sleeping bag. It is 2.3m x 1.1m when zipped. It is an ideal travel companion to enable full body grounding wherever you may be. Ideal also for athletes and people with sore aching muscles and joints. 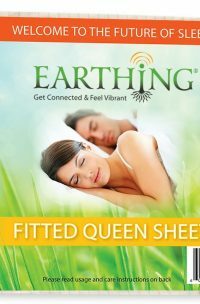 Just slide inside and experience Total and full body connection with the earth, enabling the whole body to benefit from the Earth’s Free Electrons and natural biorhythms. The Cocoon can also be used as a Grounding Bed Sheet when unzipped on your own bed or while travelling to accommodate two people’s needs for grounding. Unzipped it will cover up to a Super King sized bed measuring 2.3m x 2.2m. Material is washable and can be ironed. ALL CONNECTIONS INCLUDED. NOTHING ELSE TO BUY. I can not relate just how wonderful this product is. 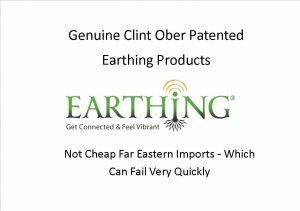 I stumbled on Earthing Technology completely by accident and I highly recommend that you look into it. Once I got the concept it seemed completely obvious, why I hadn’t fighure it out before is beyond me. The first two nights in the cocoon took a bit of getting used to, but since then, I can’t really tell you about it, as once my head hits the pillow I’m out. I wake up in the morning feeling fantastic, a bit like tigger, all bouncy. I’ve been using it for two weeks now and have noticed my back pain has completely gone, I don’t wake up stiff or in pain, no night sweats, no getting up for the loo in the wee hours, it’s just a straight through deal. I don’t think I’ve done that in years, probably not since childhood. It’s so easy, you just plug it into the wall socket, you don’t even have to turn it on and you way. Wash useing a mild detergent and NO SOFTENER. I air dry mine and it doesn’t take very long at all. It’s 100% organic cotton, which is perfect for me. Secondly, I just want to thank Steve for the excellent Customer Service and support. 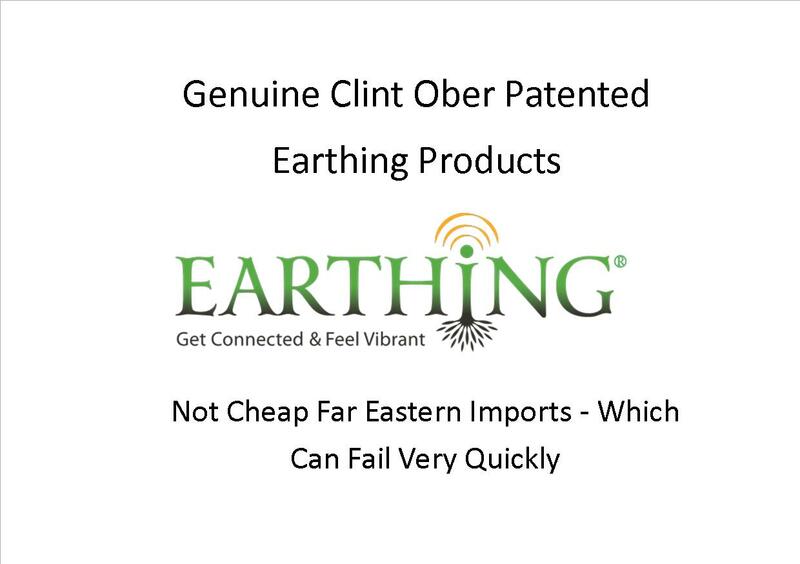 Furthermore, it was the best price on the net and the genuine Barefoot Earthing Product. I have recommend the sheets to friends and family and all of them have come back to me with nothing but praise. Honestly, it’s changed my life! 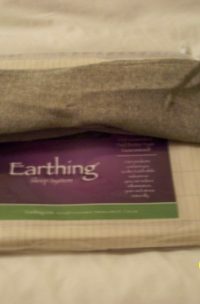 Treat yourself, it’s well worth it, I also purchased the Earthing Throw for the sofa for my lazy moments, it’s so soft and gorgeous.